Hydrology and forecasting systems support the flood-risk management efforts of regulatory bodies and companies. Hydrology and forecasting systems are a central tool in flood management, especially in the area of ​​early warning. 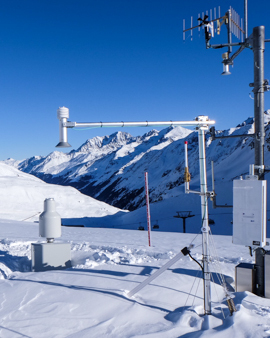 Hydrological forecasting systems are used to preserve evidence in regulatory approval procedures and in connection with approval conditions, and require many years of expertise. We develop hydrological forecasting models tailored to the customer. We support our customers in applying the models and tools developed for them. We carry out runoff investigations to determine flood expectancy values ​​in topographically and climatologically complex areas. We offer the integration of up-to-date scientific knowledge in models tailored to customer needs. We specialize in mountain hydrology, including snow and ice melt.